The shift to value-based care means that healthcare organizations should expand their concept of return on investment (ROI) to include the ability of solutions to increase efficiency and contain healthcare costs. In an environment in which waste reduction and quality improvement equate with income, organizations need to invest in information technology that helps them produce better health outcomes in a more efficient manner. Such technologies include tools that automate routine outreach tasks, risk stratification, care gap identification, and performance measurement. 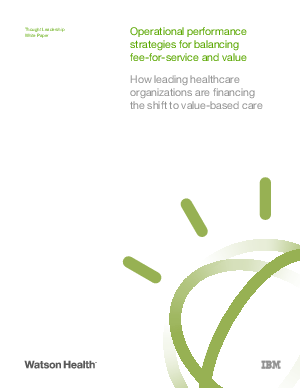 Learn from this whitepaper about the best ways for healthcare organizations to measure health IT ROI in the value-based environment, including specific examples of how certain providers are approaching this challenge.